$15,000 of inaugural grants were award by the Brimbank Community Fund on Tuesday 23 June 2015 at Visy Cares Hub in Sunshine. It was a momentous occasion for the Brimbank community. The Brimbank Community Fund is the only philanthropic trust dedicated to the people of Brimbank. It is a charitable fund account of the Lord Mayor’s Charitable Foundation and is managed by a committee of local leaders, including representation by Council. 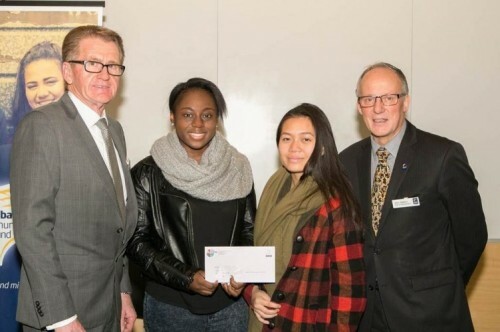 Not-for-profit groups initiating projects that improved the outcomes for young people were invited to apply for up to $5000 per a project, in May 2015. John Tanner, Brimbank Administrator and Brimbank Community Fund Committee Chair said all four grant recipients scored highly on the selection. “Overall the committee were impressed by the partnership approach and the clear, concrete outcomes articulated by all four projects,” Mr Tanner said. He said over the coming years the Fund will grow into one of the most reliable, focussed and important supports for the Brimbank community. The Fund seeks ongoing donations from individuals or businesses to build capital that will grow in perpetuity creating an investment in Brimbank’s future. As a result of the interest accrued in the fund, grants will become available for projects that deliver positive outcomes for the local community, specifically in the areas of education, health, the arts, sport and community strengthening activities. This project draws on, and develops, learning related to science, technology, engineering and mathematics (STEM) disciplines .The robotics challenge enables students to apply their STEM learning, and improve employability, connecting them to science/engineering work and study pathways. This project helps participants through a two day Barista and Customer Service training course which can provide pathways into accredited training in hospitality. It offers simple and effective contributions to a young person's employability. The DnD Music Group uses music to engage a group of young people dealing with multiple disadvantages. The project encourages social connections, empowerment, build creative confidence, inventive personalities and positive attitudes towards music, through techniques such as instrument playing, singing and song writing. This project was the only youth-led application received and the committee was enthusiastic about a project delivered by young people for their peers. The focus on tangible outcomes such as accredited certificates, mentoring advice, interview experience and employment pathways were highly commended by the committee.